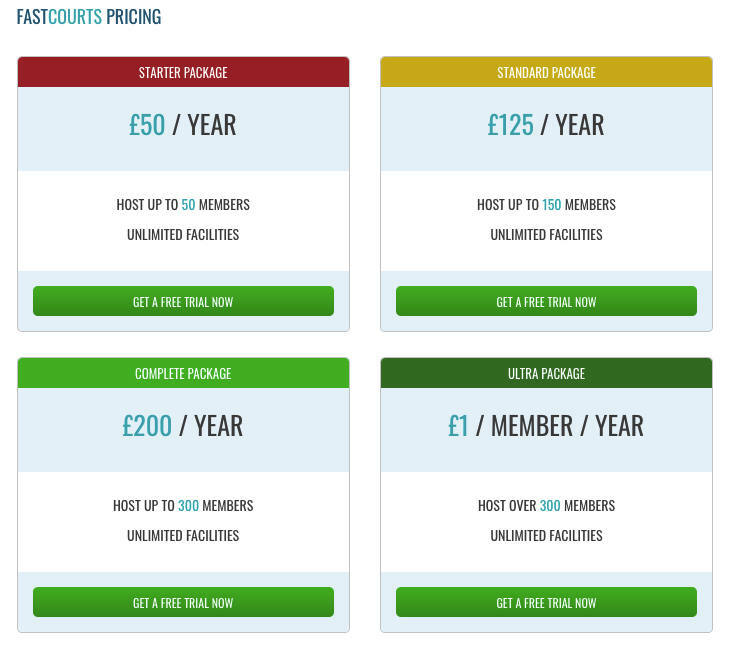 An annual subscription to FastCourts for your club is based on the number of members who are registered to book through our site. There are no restrictions on the number of courts, booking or features and we never touch a penny of your clubs revenue. Charge members or guests to play and we don’t touch it – we manage the transaction but the money goes straight from the member or guest straight to your club’s account.